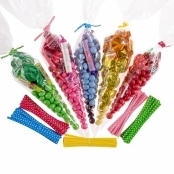 Party Decorations, Bags and Crafts for Children and Adults for all year round parties ie Children's Birthday Parties, Anniversaries, Adult Parties and Celebrations. Also Crafts and Accessories for DIY Party Decorations and Adornments. Please see Christmas section for Christmas Decorations.